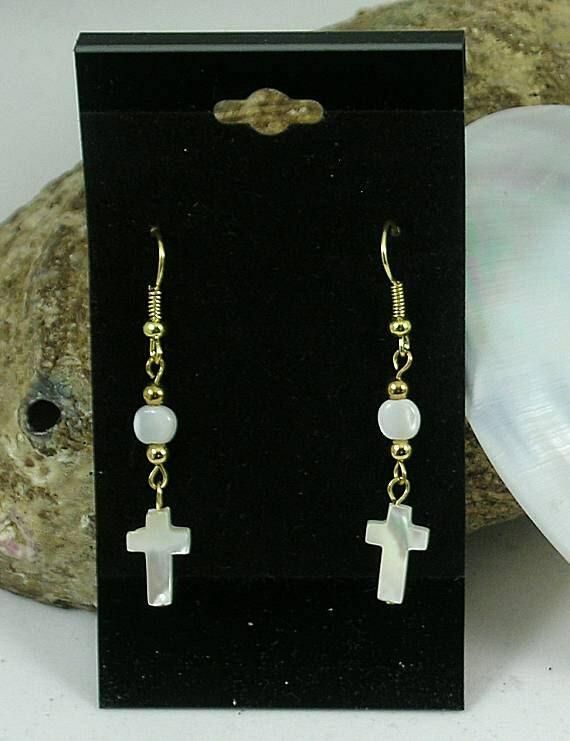 These dangle earrings have a small mother of pearl cross at the bottom which is linked to a French hook ear wire by a small flat disc bead also made of mother of pearl. 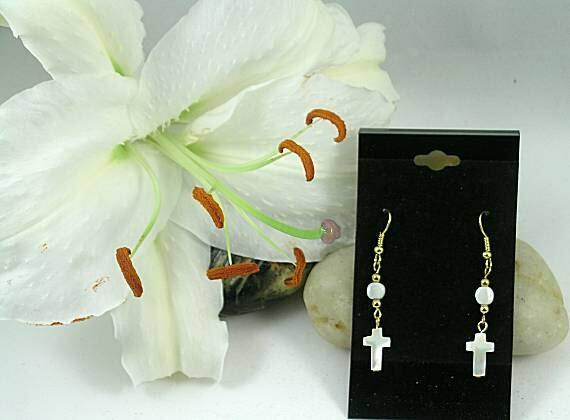 All elements are separated with 2mm metal spacer beads that match the ear wires. Overall the dangle is approx. 40mm or 1 1/2 inches long. 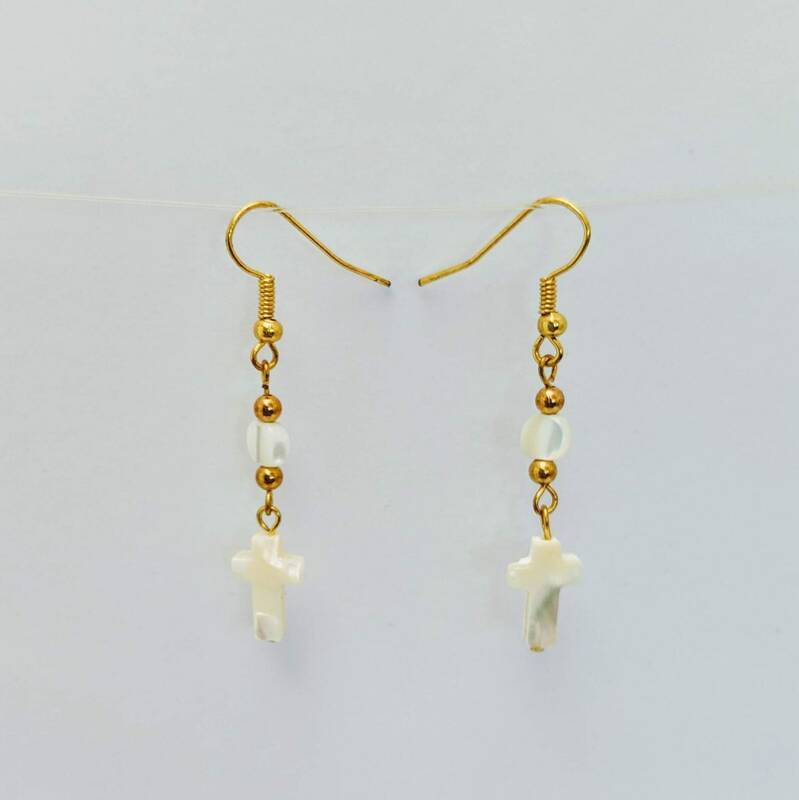 Mother of Pearl is "nacre" the substance that coats pearls and makes up the lining of some of the mollusc family of shells, such as oyster and nautilus. So....Mother of Pearl is basically, a pearl without all the irritation! 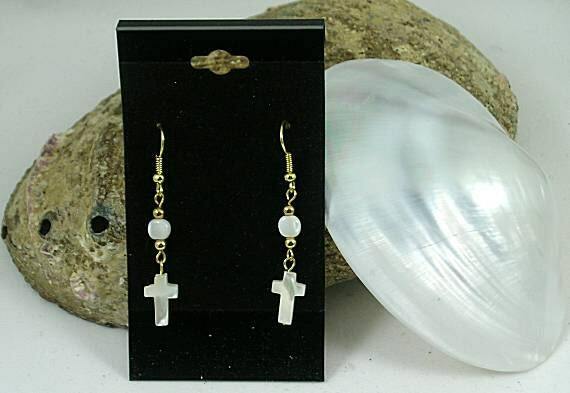 Pearls have long been associated with love and the Mother Goddess. 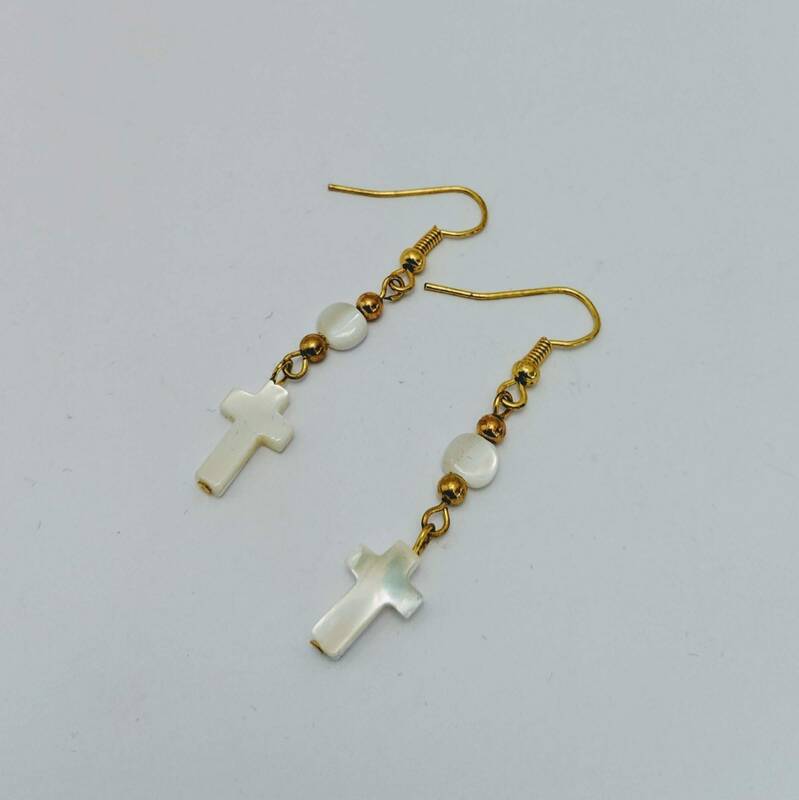 Beautiful earrings, well made, fast ship, Thank You!